Colorkitten's Action Blog: odds and ends and Go Gabba Gabba! 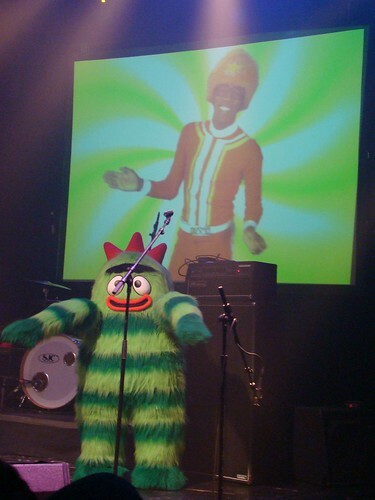 I just wrote about my daughter's obsession with Yo Gabba Gabba! (and a couple of other Nick Jr. shows). I wish there was cool stuff to do around here. Chicago's 2 hours away. Terribly cute snow life forms you have going there (especially the snow bunnies). thanks!! the snow bunnies are thanks to animal crossing...as is the "japanese" style 2-part snowman. every time it snowed in the game Emily would be like "when is it going to snow here! I want to make REAL snow men!"